I lived in Cranbrook, BC. until I was ten. We lived on 14th Street in a white house with a great big back yard. My Dad grew vegetable gardens. My sister and I would pick the carrots before they were ready because we just couldn’t wait any longer. These Carrot and Beet Brooches were inspired by memories of those delicious little carrots, on a hot August’s day. 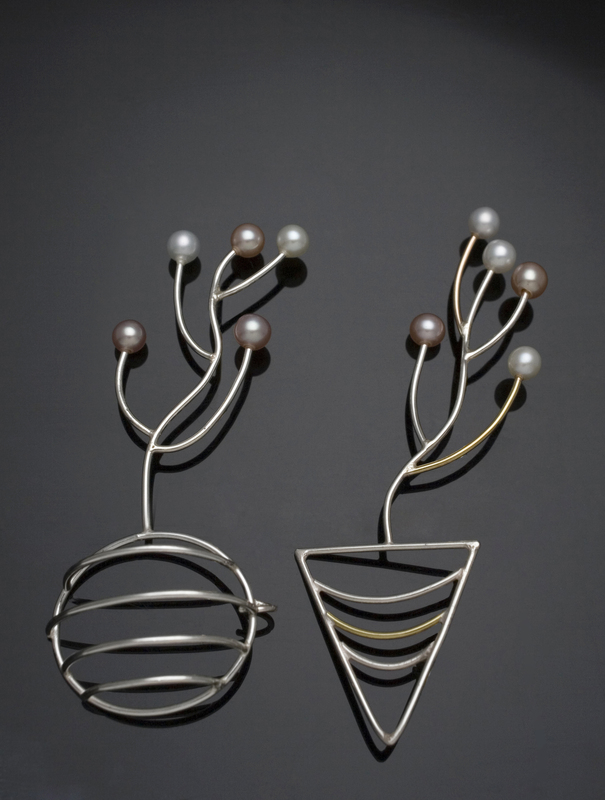 Patsy Kay Kolesar Design, Carrot and Beet Brooches, sterling silver, 14k gold, freshwater pearls.